If you're looking to buy a new mobile phone for yourself and you need high quality but affordable prices, look no further. At Jumia Egypt, we bring you the amazing Moto E4 Plus which is the evolution of the Motorola flip phone we all know and love. Shop online and get your E4 Plus at low and affordable prices from the biggest online store in Egypt. Moto, also known as, Motorola is the first company in the world to manufacture a mobile phone, and it still produces high quality smartphones to this day. Shop for E4 Plus from Motorola and enjoy a selection of beautiful colors to choose from. 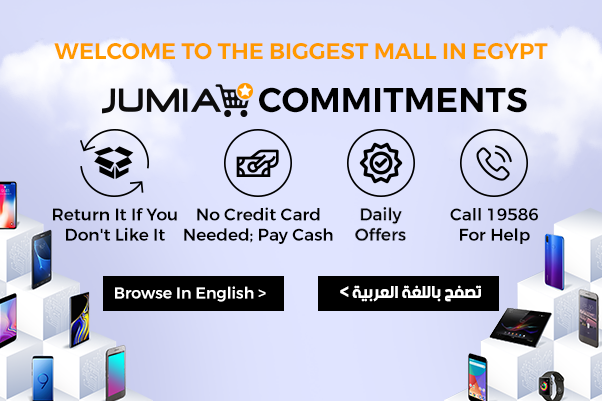 Get fast delivery to your doorstep when you buy E4 Plus Moto from Jumia Egypt. Motorola phones have always been high in quality and affordable in price, ever since the Motorola flip phone. Motorola E4 is no different as it’s an Android smartphone that runs on a Quad-Core CPU and 3GB RAM. Choose your convenient storage space for Moto E4, whether it’s 16GB or 32GB, and keep in mind that you can also add external storage of up to 128GB. Moto E 4 has an amazing 13MP back camera and 5MP front one for quality selfies. Order your new Motorola E4 Plus today and enjoy the cheapest Moto E4 price in the market. Whether you want to buy Moto E4 Plus or any other Motorola phone, shop at Jumia Egypt for you will find the biggest catalog for mobile phones, as well as, mobile accessories to best suit you at low and affordable prices. Enjoy secure payments, fast delivery and free returns when you shop for Motorola E4 Plus at Jumia Egypt.